You can enjoy night diving in DIVELITE where is close to any dive sites. Night dive sites will be the Liberty Wreck in Tulamben, or Blue Lagoon in Padangbai, which are great to enjoy diving safely. 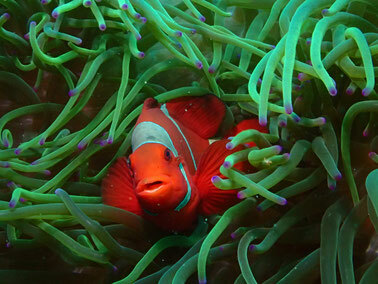 It's easy in DiveLite to dive three or four times because you do not have to use your much time to move to dive sites. Our diving courses are based on the systems of international diving agents whichi is PADI . The active instructor is in our shop, and all courses to the Divemaster course are possible. AS a PADI instructor since 1987. We have certified over 3000 students. One-day introductory diving for those who have Never dived before or do Not have the license. With one swimming-suit, you can experience the wonderful underwater world in Bali easily. In our shop, one instructor guides 2 people maximum, and makes steps such as lectures with the video, use of your equipment in shallow water where you can stand up, and going underwater. Therefore, you can relax and keep your pace with much less stress to enjoy diving. PADI Certification course. When you can get this license, you can dive anywhere in the world and get service by each diving agent. PADI course includes manual,dive-table ,log-book,certification card and full rental equipment. The enjoyable course to improve your skill in 5(PADI) dives of different circumstances.PADI Advanced open water course includes manual,slate ,certification card and full rental equipment. As a check dive on the first day of diving, you will select dive points of Tulamben,Amed or Padang bai.